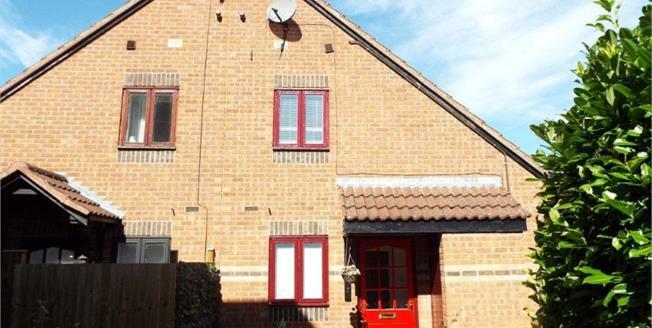 Taylors Estate Agents are delighted to offer for sale a two bedroom cluster house within the popular Southwold area of Bicester. The property comprises of lounge, kitchen, shower room, and storage cupboard to the ground floor. First floor comprises of two bedroom and three piece bathroom. Outside the property benefits from enclosed rear garden with side gated access and two allocated parking spaces. Laminate flooring, tiled splash backs. Roll top work surface, wall and base units, stainless steel sink with mixer tap and drainer, integrated, electric oven, electric hob and over hob extractor, washing machine, dryer, fridge. UPVC double glazed door, opening onto the garden. Double glazed uPVC box bay window facing the rear overlooking the garden. Plinth heater, laminate flooring. Double glazed uPVC window with frosted glass facing the front. Heated towel rail, laminate flooring. Low level WC, single enclosure shower, vanity unit. Double glazed skylight window. Radiator, laminate flooring.